I have used Zoom feature with Windows which is inbuilt feature of windows itself or using some external tools but never with SQL Server. 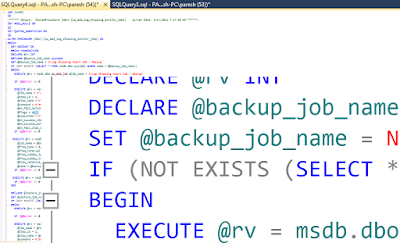 SQL Server Denali arrived with one more feature and that's Zoom/Magnify. 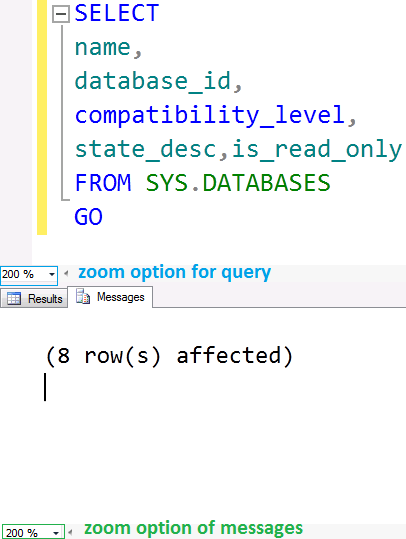 Let's look for the below image for this feature and zoom n query in query editor. You can see, the query is zooming and also the messages have the option to select the zoom option. 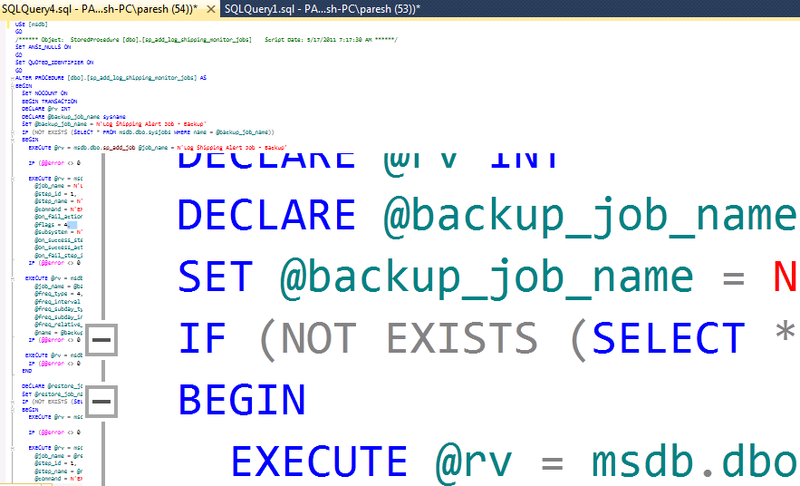 Enjoy your query in query editor! I was wondering where that was hiding! Thanks for sharing! wow gud feature. Thanks for sharing.